I love to write. Writing centers me, it calms me and it helps me process my own feelings when everything feels like a jumbled mess inside my head and heart. I started this blog not having a plan. I felt I had a story to tell and I wanted to share it but I didn’t know what it would mean to me or to others who might read. Overwhelmingly, writing is my go to therapy. More times than not, I sob through working on a new entry and I’m not talking a tear or two. I’m talking ugly cry face, nose blowing, a box of Kleenex right beside me crying. J thinks I’m a lunatic but he’s come to ignore “my process”. While this process can be exhausting I almost always feel better when I click “publish”. Last week I had a similar writing experience but I didn’t feel relief after I clicked that publish button. I honestly went back & forth on whether or not I should share at all. I all of the sudden felt an overwhelming sense of anxiety wash over me. I’ve always dealt with anxiety in some form but this was out of the blue, short of breath, wanting to sob anxiety and I just wasn’t sure why. I penned a quick poem to try and center myself, writing also serves as a good distraction while I’m trying to get to the bottom of my feelings. I wrote a poem in minutes. In just a couple of minutes I had this poem that was so honest! How was I so honest? I penned my feelings before I even knew what they were. When I started to write, I had no idea what I wanted to say but there it was. I read my words and I continued to cry. My anxiety didn’t lessen. I just felt sad. It was hard for me to read what I wrote. It was hard because it was the truth, right there in black & white. I’ve said this about my writing and I believe it to be true. “If it makes you cry it’s good, if it makes you bleed…you nailed it!” I obviously didn’t bleed in a literal sense but everything about that poem and how it made me feel was so raw. I could see my heart and all its wounds right there on a piece of paper. In a just a few words, in just a couple of minutes I somehow managed to express what I’ve been feeling for years. Things aren’t always so easy to see in black & white. This was one of those things. I did share this poem, remembering my promise to my readers to always be honest and authentic, even when it isn’t pretty. This wasn’t pretty. It was sad and incredibly honest but the response to this work has been insane! I shared this piece Tuesday, a little after 11:00 am and since then it has been shared 562 times, reaching nearly 64,000 people. Those numbers are exciting for me, I heart analytics, but most importantly those numbers represent people! People who feel what I’ve felt, people who are hurting and healing, as I have. This particular entry has moved me time and time again for different reasons, at different times. Regardless of our stories, our circumstances, our pasts…at the end of the day we’re all the same people. We are people with scars and fears, people who want to love and be loved in return. We all want to feel safe and happy. 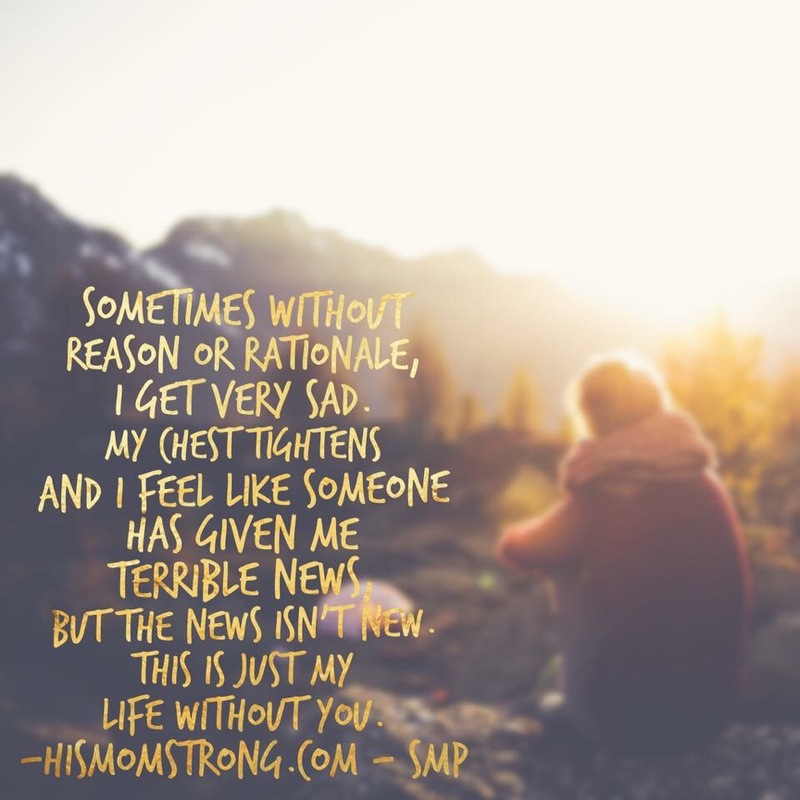 I’m not the only one who has felt what I penned that day, when my anxiety smothered me and made it hard to breathe. We’re also all so incredibly fragile! None of us are immune to emotional pain or to fear. There is so much beauty in recognizing how fragile we all are. Why are we all so fragile? We’re all hard wired to love, to need people. We are capable of immense love, which means we’re all susceptible to immense loss. No one wants to feel that side of love but it is still love! There is beauty in that even though the process is unimaginably painful. Our love is bigger than our loss, always. One of the comments on this post really hit home for me, it made such perfect sense. Someone wrote that it was okay, that I shouldn’t think it’s wrong to feel this way. We have reason and rationale to feel how we feel, sad or out of control anxious. He was right, we do. It’s love.